Improvements include automatic photo albums and new folder layouts. 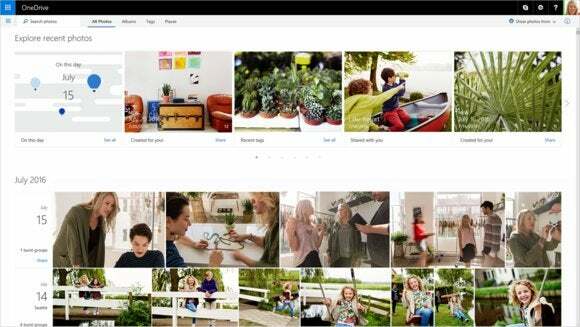 Microsoft is upping its game for organizing your personal photos. The company recently announced some significant changes to OneDrive’s photo features that borrows a little from Facebook and Google, as well as a slightly improved Photos app in Windows 10. When you upload photos to OneDrive, the cloud service will now detect which photos were taken in a short span of time within a particular location. It will then choose the “highest quality” photos from that set and create an album. Previously, OneDrive would only organize your photos based on the date they were taken. For a while now, Facebook has shown you memories that happened on the same day from previous years such as a popular photo or text post. Now, OneDrive is doing something similar by showing you photos taken on a specific day from previous years, as well as the current one. OneDrive is also cooking up a special treat to brighten the beginning of the workday with Monday morning albums. This feature takes a look at your photos from the weekend and creates an automatic album for you. 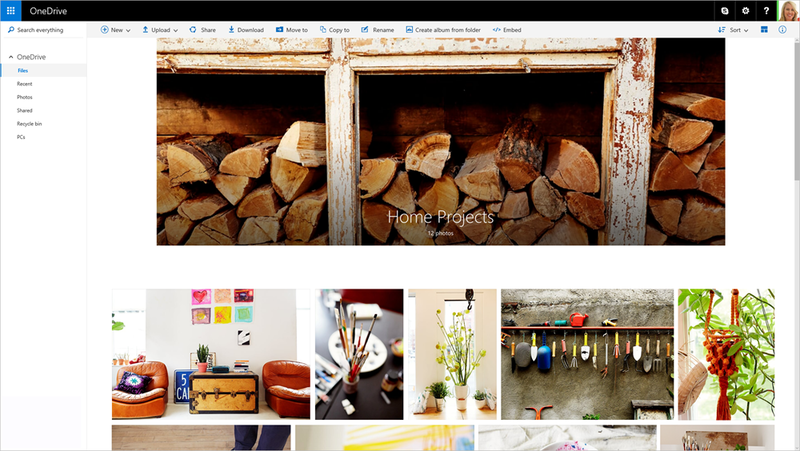 The new photo folder look in OneDrive. Microsoft is also offering a new layout for folders in OneDrive that contain a lot of photographs. For these folders you’ll see a hero image and larger thumbnails to more easily navigate the folder’s contents. An update to the Windows 10 Photos app will allow you to view all your OneDrive photos when signed in to your Microsoft account. It wouldn’t be a summer 2016 product roll out if it didn’t include something related to Pokémon Go. Just for all your Pokémaniacs out there, OneDrive has been tuned to detect Pokémon Go screenshots. All you need is the OneDrive app on your phone with camera upload turned on. Then any screenshots from the game are automatically tagged. OneDrive can also identify all 150 Pokémon, so you can search your captures by name. Finally, Microsoft says OneDrive’s photo search is improved, and you can even search by emoji—a feature Microsoft added to Bing search in 2014. Why this matters: Prior to this update, Microsoft had more or less surrendered smart photo organization to Facebook and Google. While OneDrive could nicely organize your photos by day there was little else in the way of extra features. The new changes to OneDrive should encourage more people to rely on OneDrive for photo storage, especially now with the even deeper integration with Windows 10 via the Photos app.